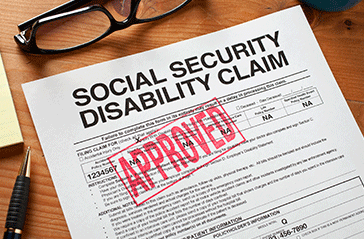 Filing for Social Security disability doesn’t need to be a complicated process. Usually, people make it more complicated than it needs to be. This process always begins with your initial communication with the Social Security Administration at one of their offices. This is the Social Security disability process overview. If you applied for Social Security disability benefits on your own and your claim was denied, you have a 60-day deadline to file an appeal. Using disability advocate for your appeal is a wise decision since you are probably relying on the benefits for financial help. While the thought of legal fees might scare you away from hiring a representative disability attorney fees are a contingency fee. If you are denied disability, London Disability Advocates can help you with your appeal. When you first hire a disability advocate, you must file a fee agreement that gets submitted to Social Security. The fee for Social Security disability lawyers is limited to 25% of the past-due benefits you are entitled to, up to a maximum of $6000. Keep in mind that your attorney will only be paid out of your back pay, so you won’t need to worry about paying your attorney from your future disability benefits. To make things even easier for you, the SSA will automatically pay your lawyer out of the past due benefits. Another thing that makes hiring a disability advocate financially easier is that they are paid on contingency. Contingency means that the lawyer will only be paid if you win your claim. Not only does this help you financially, but your disability attorney will also do many things to ensure you win your case and receive the benefits that are due to you. Contingency also means you don’t need to pay a retainer or upfront legal fees for your disability claim. Keep in mind that there may be a small amount of medical record costs to you to appeal your claim. The school, work, and medical records your disability advocate needs to obtain aren’t always free, and there are some copying and postage costs involved as well. Contact London Disability Advocates for your Social Security Disability case.